The Palomar family in Singapore, internment in Changi, life after the war ... last traces ... but perhaps more to come? 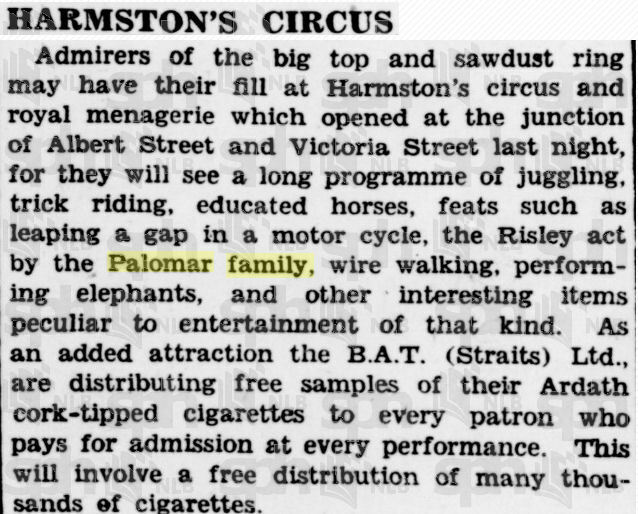 An elderly lady contacted by my cousin Karen (see "Frank Bale") via internet recalled having visited the Palomar family in the 1930s. She mentioned that their youngest daughter had a hair-dressing salon at the Raffles Hotel in Singapore but no confirmation has been found yet. 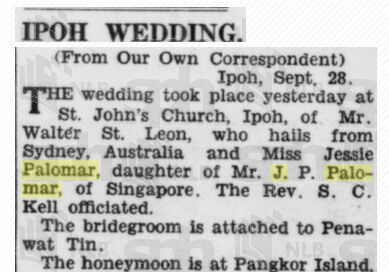 In September 1937, in Ipoh (in Malaya as it was then) Jessica Georgina married Walter St. Leon, also from a circus family. Their son Philip Carmelo was born in 1941 and was interned with his parents during the Japanese occupation of Malaya in World War II. DARWIN. September 28.— Looking a bundle of health, Phillip St Leon, who spent 3 1/2 years of his four years in Changi gaol, Singapore, arrived here to-day on the evacuation ship Duntroon. He came with his parents, Mr. and Mrs. Walter St. Leon, of Carlton, Melbourne. Phillip was five months old when he and his parents were interned at Changi, but he thrived in prison under the care of the best women doctors in Malaya. Every morning Philip and all the other children in Changi attended a clinic conducted by Dr. Margaret Smallwood, of Melbourne, and other interned women doctors. 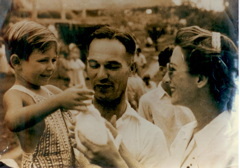 Mrs. St. Leon, an attractive Spanish-American, who formerly lived with her tin miner husband at Ipoh, Malaya, said: 'I bartered every piece of my jewellery, excepting my wedding ring, to get eggs and milk for Phillip during the early months of our internment. At various times Phillip and the other children In Changi were fed on goats' milk and buffalo milk. Phillip and the other children went simply crazy when the British liberation force arrived, and were thrilled when they were taken for rides on army trucks. 'The Japs forced even babies like Philip to bow to them. The children obeyed because they were terrified the Japs would beat them.' 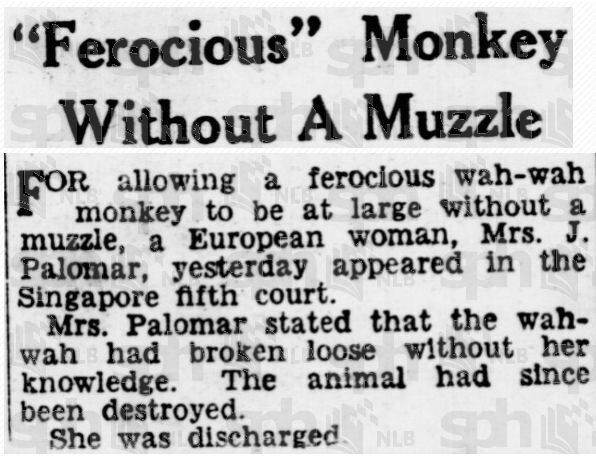 Dr. Jeanette Robertson, wife of Commander Robertson, Singapore Harbour Master, said the Jap guards at Changi did not molest any of the European women internees. 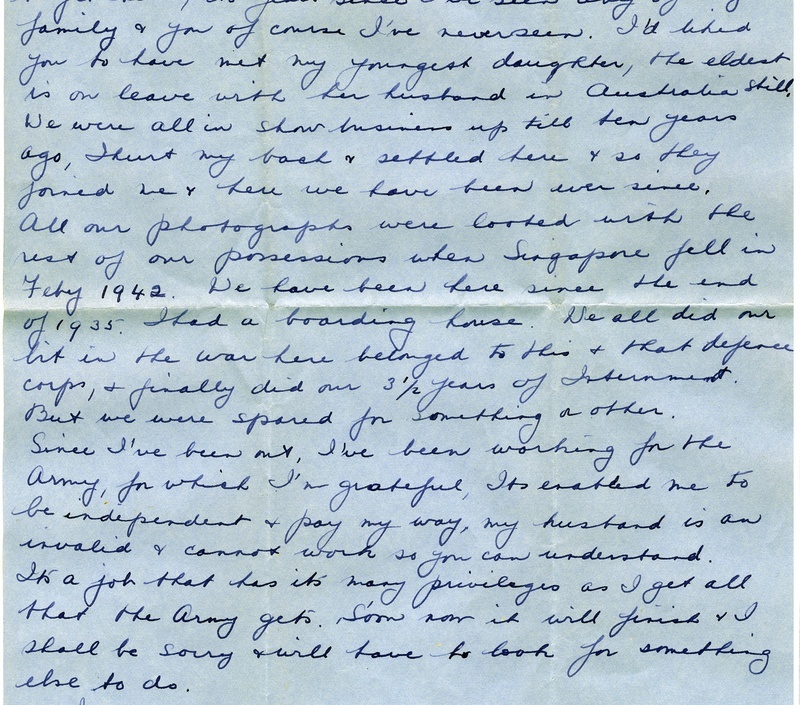 'I am sure the only reason for this was that they could get all the women they wanted among the Eurasians in gaol,' she said, 'but the Japs gave us no privacy. They would arrogantly enter our quarters while we were dressing. No matter if we were half naked we would have to bow to them. At night they would stamp into our cells and kick our beds, lift up our mosquto nets, and flash torches an us. 'We soon got to regard these intrusions as one would regard a mangy dog wandering in while we were dressing." WHAT can a child know of war? Chaos, pain, horror - these are things that no one, let alone children, should have to understand. But Philip St Leon does. Interned when he was just five months old, he spent his first four years locked up at Changi jail and, later, the nearby Syme Road camp. There a collection of bungalows housed thousands of civilians until the Japanese surrender of Singapore in 1945. Now 63, St Leon says: "To people you've got to say that you were in Changi because if you said to people 'I was in Syme Road' they'd look at you stupid," he says. "They don't understand. Only the people who were there, they know exactly what you're talking about. "A lot of people that I know that served, but were never prisoners of war, they say 'that's gone, that's finished'. Yeah, it might be finished but there's still a scar." This year is the 60th anniversary of Changi's liberation by Allied forces. St Leon's memories are of repression, fear and cruelty. He skips over chunks of time, partly due to illness and partly, it seems, due to the confusion of life in the camp. In snippets and half-formed recollections, the memories returned. "I remembered we had to bow to the Japanese in camp - everyone came out with very flexible backs," he says. Then, a more disturbing thought: "You get flashbacks of different things. If (Allied troops) gave them a hiding (in battle) they had a sort of cave there, and they'd put all the women and children in it with machine-guns pointing at us. We never knew if they had ammunition in them." His father, Walter, worked as a mining engineer with Anglo-Oriental before the war and took up arms as a volunteer when Singapore was threatened. Walter was captured and, with Philip's grandfather and uncle, who also worked in Singapore, was sent to the men's camp. Together with his mother, Jessica, St Leon lived with his grandmother and aunt in Changi's jail cells for two years. He still has the key to the cell in lower 6E which his grandmother** secretly stashed in fear their captors would lock them away forever. In 1944 they moved to Syme Road, where around 2000 internees slept on whatever bedding they could find. He ate congee (rice porridge), buffalo milk and the occasional serving of dried fish, but he remembers constant hunger. "My mother sold all her jewellery and God knows whatever else to get food for me." When the St Leons were finally able to leave Singapore and return to Australia, they tried, like many veterans of war, to forget what they had seen. Life continued for the young family, a new sibling arrived for St Leon and his parents returned to Malaysia for work. There, St Leon played in the jungle with his younger sister and learned to speak like a local. His parents, he says, coped with their memories as best they could and his grandparents remained in Singapore for a few more years. But even today the scars of a four-year-old are thinly veiled and they can raise in the simplest ways. "I could show you my fridge and you would not believe it," says his wife Irene. "This one and his mum, the least little bit of food gets put back in the fridge for another day." "We don't believe in waste," he agrees. "Freedom and food. I will not waste a drop." It has been 60 years since St Leon and his family left Changi but he hopes the legacy of his story will continue. "Have an appreciation of life and freedom. You've got food and you can do this and that - you can go wherever you want." ** My comment: This was Jessie of course, showing her character! 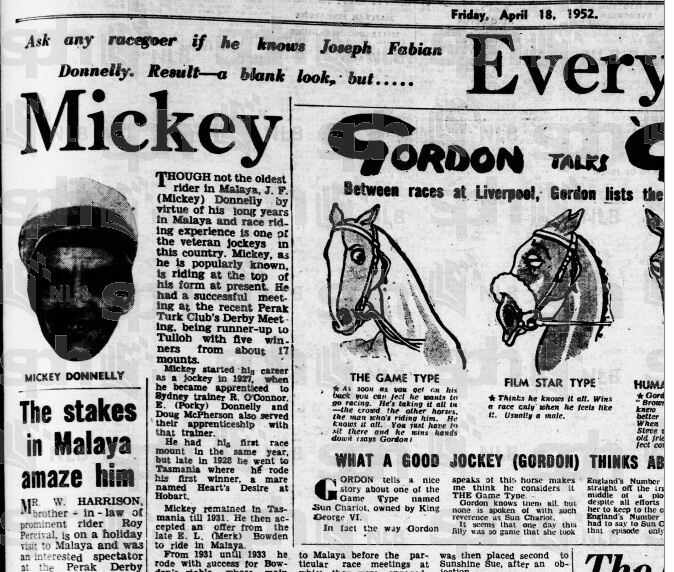 After the war, Leonor married Joseph Fabian Donnelly, known as Micky. 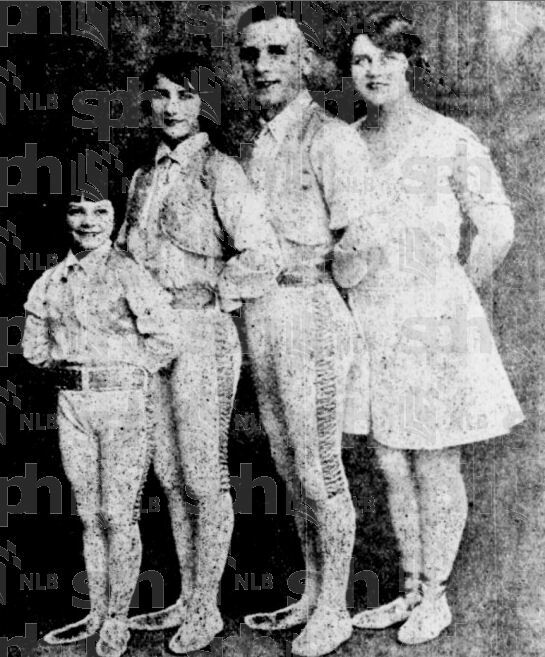 "Melo" was a name used by the Palomars in one of their circus acts. Melo Georgina was followed by a son, Michael Marinus. 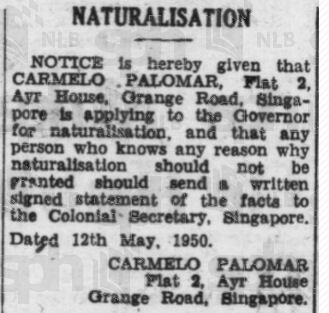 In 1950, Carmelo applied for Malayan nationality. DEATH CARMELO PALOMAR passed away on 20th March at home. Funeral this evening at Bidadari. It has not yet been possible for me to trace Jessie after Carmelo's death, or to find out whether she stayed in Singapore or went to live with one or other of her daughters in Australia.